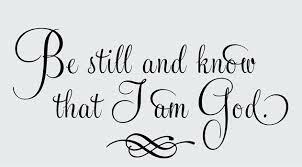 Psalm 46:10a (NLT) “Be still, and know that I am God! Be still; these two words are not always comforting to a rescuer like me. It is hard sitting back and watching the ones you love suffer. Feelings of helplessness begin to take a hold of me as I sit back wanting to reach out and pull them from the hardships and the emotional pain they encounter. If I move out on what I want to do, it can hinder their growth. It can move them away from the purpose and the plan of God. The Lord has dealt with my heart on several occasions about this. I realize now that I jump to help out of fear of what may happen. Moving in fear reveals a greater problem; I don’t always trust the Lord with everything that concerns me or those I love. He has allowed me to see that my place, at times is just to pray. Oh this is not an easy task!! I want to act. I want to move, but I hear the Lord whispering steadily, BE STILL. I have learned through various situations that we have to allow the Lord to complete the work that He began. He knows what is best for each of us and He will indeed perfect all that concerns us. If you too, struggle with running to your loved ones’ aid and playing Holy Ghost Jr, remember, you are only prolonging their process. Be still and know that He is God and He will bring them to their expected end. Father, teach us how to trust you totally with our lives and those we love; comfort our hearts and grant us assurance as we watch you work in their lives. Help us to know that You are a faithful and a loving God and assure us that we can trust you at all times. Take Action: Take a moment and write down the situations in your life you need to trust God in. Find a scripture on trust that will help you to remember to leave it in God’s hands. Are you a rescuer? 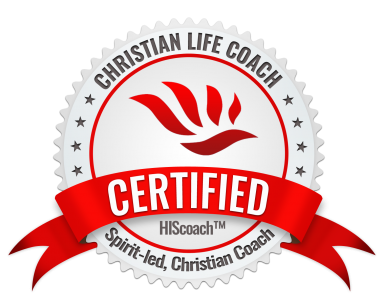 Do you struggle with trusting God’s work in your life or the lives of the ones you love? Feel free to share your experiences below. Next Post You Are Not Forgottten..